Samsung Galaxy J7 Pro was launched in June 2017. Samsung Galaxy J7 Pro has a 5.5-inch full HD Super AMOLED display with a resolution of 1080 x 1920 pixel. 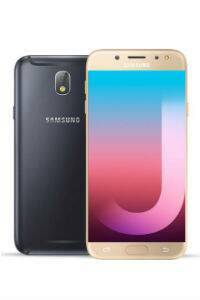 Samsung Galaxy J7 Pro comes with 3 GB RAM on-board, along with 64 GB internal storage (expandable up to 256GB via a microSD card). Samsung Galaxy J7 Pro is powered by an Octa-core Exynos SoC clocked at 1.6GHz and runs Android 7.0 Nougat. Samsung Galaxy J7 Pro has a 13 megapixels rear camera with f/1.7 aperture and LED flash, while the front camera is also 13 megapixels with f/1.9 aperture and LED flash. Other features of the camera include Instant sharing on social as well as augmented reality (AR). Samsung Galaxy J7 Pro is backed by a 3600 mAh battery and supports micro-USB 2.0 for charging. Connectivity options include Wi-Fi, Bluetooth 4.2, and GPS. Samsung Galaxy J7 Pro comes with Samsung Pay Mini. Samsung Galaxy J7 Pro features a unibody metal design and is 7.8mm thin. Samsung Galaxy J7 Pro comes in two colour variants — Black and Gold. Samsung Galaxy J7 Pro is priced at Rs 20,900.